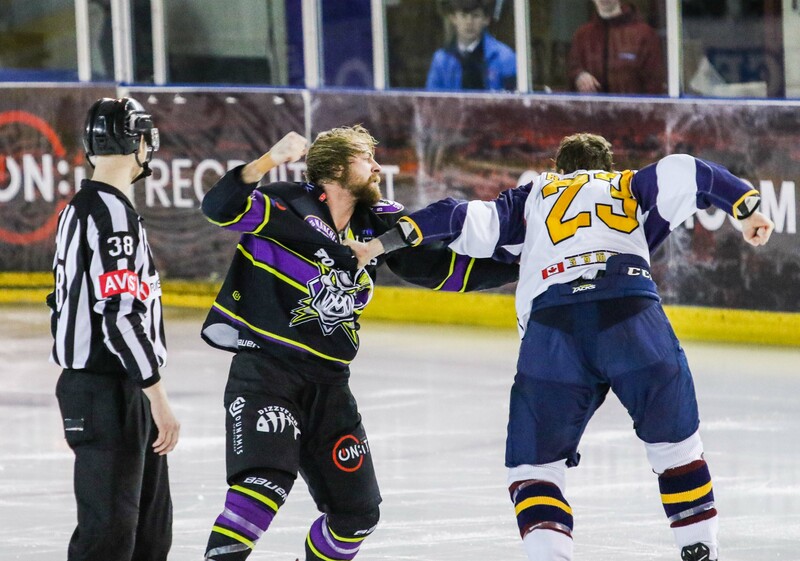 Last night the Storm faced visitors and Patton Conference rivals, The Guildford Flames in a mid-week EIHL clash. 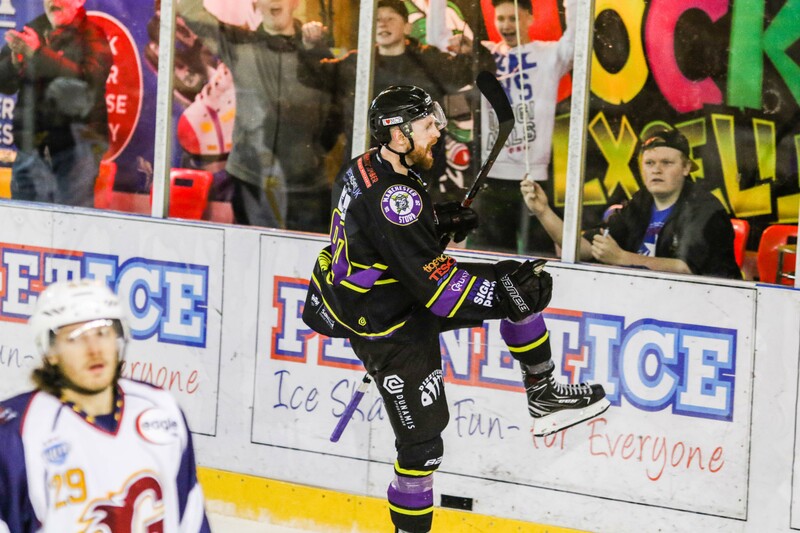 This game was televised live on FreeSports, helping give Ice hockey in the UK some extra recognition. What a night it was! 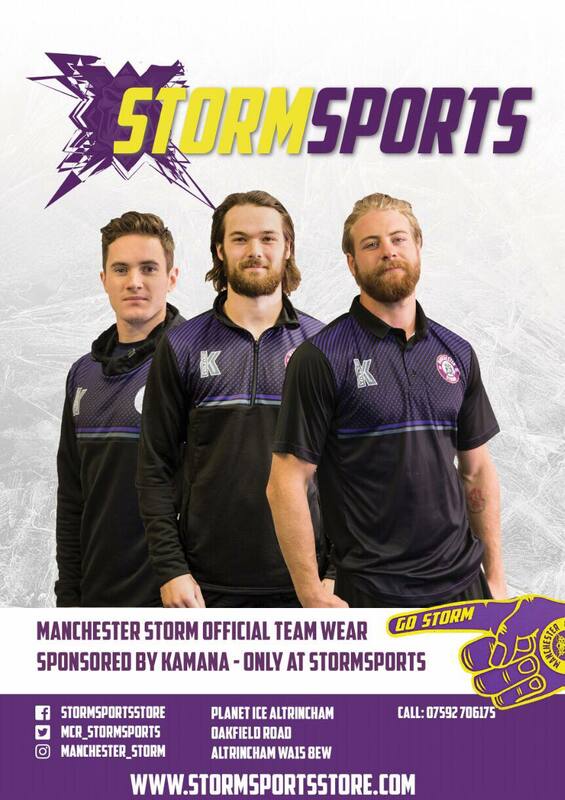 The Storm are currently on season-defining form, with an eight point streak on home ice after also beating Nottingham Panthers, Fife Flyers and Sheffield Steelers over the last few weeks. Flames were the first with chances of a goal, when Foster went on the breakway, Ginn shutting the opportunity down. 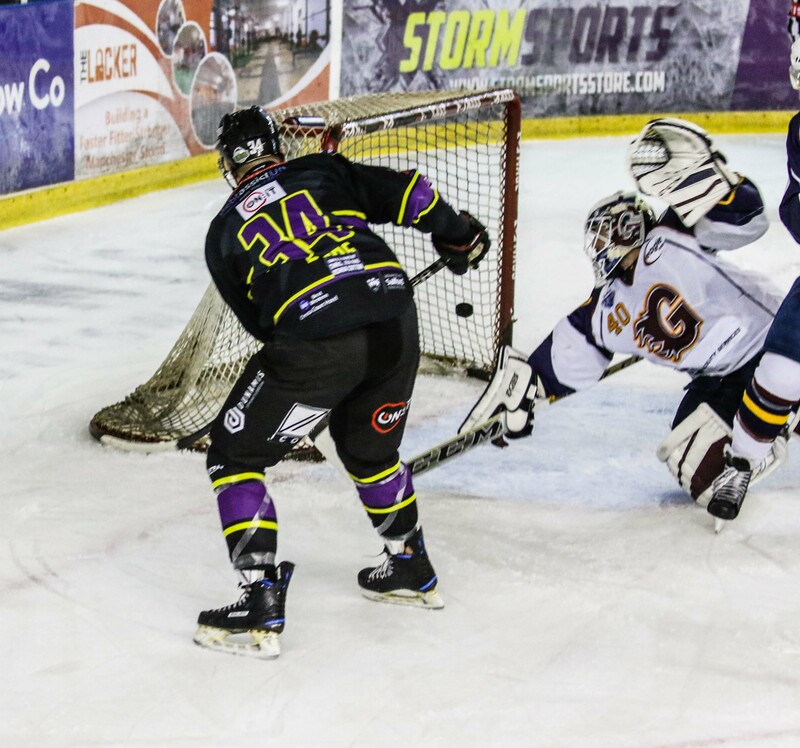 Poulin also had a chance for Storm, with a hard shot, saved by Fullerton. There were some skilled plays from both sides, as each team pushed for the first goal. At 11:51 Storm drew first blood, scored by Byers on the rebound, assisted by Poulin and Moffatt. The only penalty in the first period was handed to Flames’, Lindhagen for delay of the game at 14:50. It was twenty minutes more in Storm’s favour, as Fullerton received 14 shots on goal, with only six on Ginn. With only one goal between them, both teams came out strong for the second period. Ehrhardt received a penalty for interference at 27:36. It was Ginn who gloved what could have been Flames first goal of the night – overall, a strong penalty kill for the Storm. At 31:48 Storm claimed another goal, scored by Briad, who tapped the puck in the net after outwaiting Fullerton. Moments later goal three appeared, scored by Long, top shelf on a blind pass from Hammond at 32:55. Flames’ Craige was sent to the penalty box for slashing at 37:03, Storm not managing to get a fourth goal on their powerplay. Gloves were dropped between Springer and Baldwin straight off the face-off at 40:01, giving spectators and those watching on FreeSports a good fight. Both players were handed five minute penalties for fighting, followed by Dunbar for roughing at 44:40. Richardson was called for roughing at 46:30, handing Flames a powerplay opportunity. It was at 47:20, Flames found their first goal of the night; scored by Reddick with assists from Watters and Craige. Despite it not being a game of many penalties, it was pretty physical around the nets of each netminders. With Flames pushing forward and aiming to close the scoreline, it was no exception. At 53:04 Watters was handed a penalty for holding the stick. Flames second goal came at 57:16, scored top shelf by Dunbar. With the scoreline now at 3-2 and only the final few minutes left, Flames were ready to continue that push for an extra goal. Join us for the next home game on Sunday 20th January – 17:30 face-off. 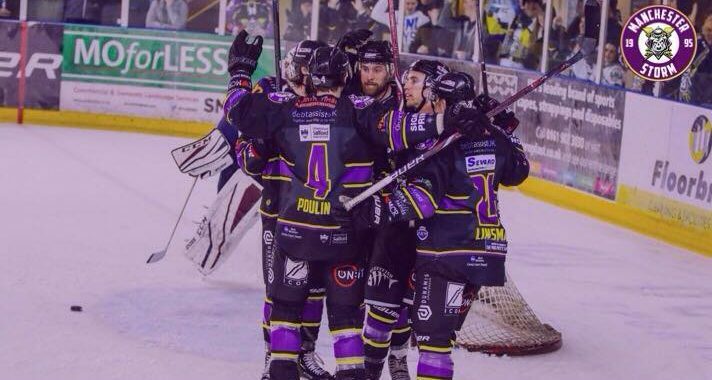 It will be another game not to miss, as Storm look to defend the Patton Conference title against Coventry Blaze. The OSC have just announced their next event, Storm Bingo – taking place January 22nd, 7:00PM. Email [email protected] for more information! The supporters club have a few upcoming events; from ladies night to Bowling with the Storm. Check out their social media and book soon to avoid disappointment. MATCH PREVIEW: Storm v Flames Game to be Televised!